This article was published in the Escape Artist Weekly Newsletter on December 06, 2017. If you would like to subscribe to the newsletter, please click here. Last week’s column was about the various types of land titles overseas. This week, I’ll cover some other land issues, specifically squatter’s rights, and ways to mitigate this concern. However, the first part of today’s column details a challenge facing property buyers internationally, and that is the lack of an MLS system in many countries of the world. Without this tool, buyers are at a disadvantage in the marketplace. The use of a U.S. or Canadian realtor can help when buying property globally. Though not common, it should be. The experts are at our fingertips…we just need to access them. The final section of the column this week highlights how using a realtor mitigates some of the challenges, surprises, and difficulties buyers face when purchasing property overseas. A basic tenant we should heed in life is, “We don’t know what we don’t know.” This is especially true when we leave our home turf and explore new parts of the globe. It’s part of what makes going overseas fun and exciting. While adventure is a great thing when on vacation, is it something you want when buying a vacation property, investment condo, or perhaps a retirement home overseas? Do we really want adventure, or would we like things to go smoothly so that we can enjoy our property as quickly and easily as possible? For most, simple and easy is what we want. To counter the handicap of not knowing what we don’t know, we need to stay humble. We should also forget a lot of what we think we know. We need to “talk less, smile more” as Aaron Burr so wisely says to Hamilton in the Broadway show. We also need to keep our senses tuned sharp and take nothing for granted. For to assume is hubris, when in reality humility is the recipe for success. The process of buying property in North America is efficient for many reasons, one of which is the MLS system. However, in Latin America, we see several inefficiencies in the marketplace. One of the biggest is the lack of an MLS system. Again, we don’t know what we don’t know, and if we assume an MLS is in place, we are going to miss a huge part of the market by not knowing how to shop effectively. When you are looking for a house, you probably wonder, “How do I know when I find the right price? How can I be sure I see all the homes that might be a good fit?” These are legitimate questions, and ones that come naturally if you live in North America – it’s a tricky task at hand to do in Latin America. However, with persistence and perseverance, it can be done. Typically, in North America, we have a general knowledge of what the market looks like and what prices to expect through the Multiple Listing Service (MLS). The MLS is where a realtor lists a property and that property becomes available for all other realtors in that area to sell. Once the property sells, half the commission goes to the realtor that listed the property and half of the commission goes to the realtor that sold the property. If the realtor listed and sold the property, then they get the full commission. The United States MLS system allows for efficient and comprehensive property searches. Why this is great for sellers is that all listings are made public to all realtors, and the scope of potential buyers is broadened significantly. As a tool for buyers, it simplifies the process so that a visit to one realtor is all one needs to be able to evaluate all the inventory in a given city or region. Buyers can look up all the listings in their preferred area and see what the asking prices were and what the property sold for. The buyers can also see where the properties are located and how location affects the prices of the homes. In short, MLS makes it very easy for a customer to gauge the market and see what a reasonable price would be for their desired home. In Latin America, MLS is much less common. Most real estate agents want the full commission for both listing and selling the home, and therefore, have exclusive listings on each property they sell. This means a prospective buyer will most likely have to visit each and every real estate agent in their area to see all the potential listings they might be interested in. This means a lot more work for the potential buyer and far more difficulty for a buyer to make comparisons regarding price, location, and the market in general. What can also make the buying process a bit more challenging is the use of appraisals. People often hire professionals to walk through their home and give an opinion on how much the house is worth. In my experience, almost every appraised price is listed at far more expensive than what the property is worth; and, personally, an appraisal is only worth the paper that it is printed on. Fortunately for buyers and realtors alike, appraisals are not very frequently used. Another tedious aspect of realty in Latin America revolves around “Net Commissions” and “Pet Projects.” Net commissions are simply where a realtor negotiates a bottom line price from a seller and marks it up to a listing price for sale to buyers. Raw land is the easiest type of property, especially if the land is rural and the seller is not familiar with the true value of the property. Net commissions typically do not happen in urban areas, or in regions with a mature market, but it is still something to watch out for. The best course of action is to at least meet the owner and establish (negotiate) the sales price with them. Pet projects are where real estate agents sell their own property without open disclosure. Pet Projects are another somewhat challenging area to deal with. In many cases, real estate agents themselves are developers and have properties and projects they own in part or whole. There is no problem with this type of transaction with full disclosure, but no law requires this in Latin America. Buyers are often steered hard in the direction of a property or project and may not have any sense why. Buyers may not be shown properties that would suit their needs and price points better because the real estate agent is the owner of a different property, does not have the listing, or will make more from a net commission on a particular property. Real estate agents in Latin America can be tricky people to deal with at times, because it’s hard to know whose side they are on. To be safe, assume they are not on your side. Assume they are on the side of the seller. In fact, often it may be expected by the seller that you, the buyer, will be paying the realtor’s commission after the sale. In this instance, you have to be upfront ahead of time and say, “I’m not paying the realtor’s commission.” If the seller walks away, so be it. Also, it is possible to bring in your own realtor to help broker the deal; but, in that scenario, you will most certainly have to pay your own realtor’s commission. The best way to make the reality of Latin American real estate transactions work for you is to simply rent before you buy. The longer you are in your desired area, town, or neighborhood, the more savvy and educated of a buyer you will become. You will hear about listings and what they were sold for. You’ll know the neighborhood better, which areas are more expensive, and where the value opportunities are. You will meet buyers in your similar position and be able to exchange notes on the buying process. You will get to know the real estate agents personally and develop relationships with them, beneficial when it is time for you to buy. The longer you are a local, the better you will know and navigate the local market. Of the many benefits in renting before you buy, the buying process itself will become far less troublesome if you have been living in the community for a few months before you delve into permanent purchases. Once you own your property, especially if you are an absentee owner, knowing how to maintain the property is key. A question people sometimes ask about property ownership is, what are the squatter’s rights? This concept is not particularly common in North America today, but throughout the history of the U.S. and Canada, people did claim property by possession, or “squatting” on it. 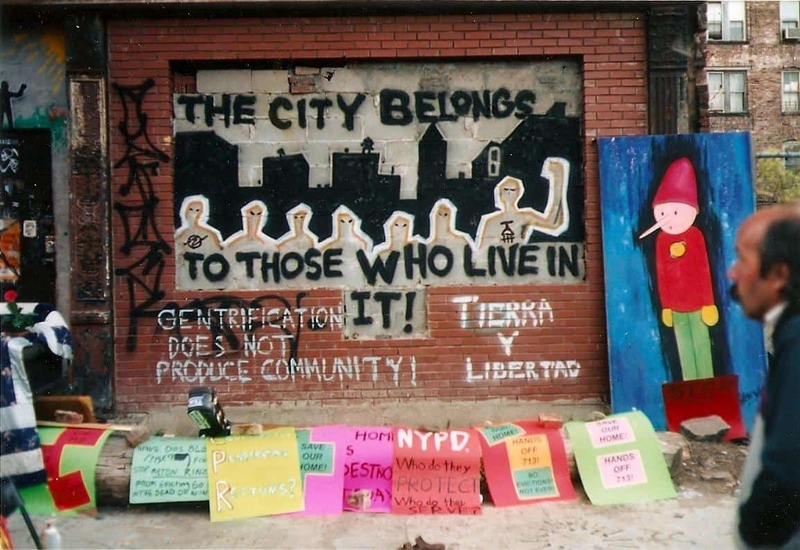 In fact, squatters claimed property in New York City as recently as 2009. So, while we think of squatter’s rights as a developing world issue, it happens right here in North America, and in very recent history. First up, we’ll look at some countries of the Americas and the various laws that govern the rights of possession. Some, like Costa Rica, are very short periods of time where squatters gain rights in only one year. Other countries, like Argentina and Panama, take much longer and offer great protection for absentee owners. There are strategies to mitigate the risks of possessory rights, and I’ll cover those too. But first, a snapshot of some laws and regulations that govern squatter’s rights. The Costa Rican government has placed squatters into three categories; organized squatters, individual opportunists, and criminal organizations. Organized squatters target land for housing. Individual opportunists see financial opportunity to lay claim to the possession of land, while criminal organizations execute squatter invasions. The Parasite Law of 1942 legalized the occupation of the land that has been occupied by squatters. After one year of occupation of the land, squatters acquire the rights to the property. One can only claim the title or easement upon proof to the Supreme Court of Belize that they had continuous and undisturbed possession for 30 years on National and Conveyed lands or 12 years on registered lands. Requirements to gain title by adverse possession are difficult for a squatter to meet, due to harsh recourse against original title holders. To acquire adverse possession, a squatter must have continuous possession, use of property that is open and clear to the title holder, exclusive use of property, and entrance of the land without permission from the title holder. After 15 years of occupation of land, the government recognizes squatter’s rights to adverse possession. Squatter rights, also known as possession rights, are usually granted through very simple certification documents issued by either municipal mayors, sheriffs, or other government organizations. Possession Rights properties can become titled through a procedure of purchasing the land from the government. There are laws in some areas prohibiting this in places such as national parks and coastal areas. Under the National Police Code, after 30 days in urban areas and 15 days in rural areas, a squatter becomes the possessor of land. Two acquire ownership, the possessor must hold the land as the owner; paying taxes, installing services in his/her name, etc. In urban areas, they must have occupied the space for 10 or more years – or five or more years in rural areas. Lower income households are most likely obtained through squatters that eventually gain the title to the property. Currently, there are not laws in Ecuador that protect squatter rights. There are studies concerning urban Ecuador that say there may be benefits of formalizing rights of untitled squatters – one being increasing tenure security. By clarifying ownership rights and making the rights transferable, titling is expected to lower transaction costs in the land market. In Chile, adverse possession exists after 10 years of continuous uncontested use. For squatters to become the legal owner of a home they occupy, they must live in the property as their own for twenty years. This means they must be paying taxes and energy bills for that time. It is very difficult to meet that requirement because of the rise of evictions. Parliament is considering revising the civil code so that squatters can acquire rights to ownership after three to five years. What can be done to secure a property from squatters? Several things actually. Caretakers and security personnel is one way and, depending on the size and location of the property, more or less coverage is required. Condominiums and gated communities offer the highest form of assurance against squatters and have a distributed cost for that protection. Many people share the cost of the personnel who maintain private property rights and security for the building or gated community. Marriott Residences St. Kitts, a gated condominium community, offers security and luxury. A home in the country left unattended for long periods of time can become a target for squatters, as can empty land and large farms. This is especially true where agriculture is significantly profitable and the property has a past history of ranching and/or being farmed. Caretakers for homes and security personnel are a good idea, and in all cases a local lawyer should be retained to draft up a contract between you and the caretaker. All appropriate taxes, social security, vacation, and 13th month payments need to be made to validate the contracts. A valid contract could be what keeps your caretaker from claiming your property someday, especially since caretakers usually come with an extended family in tow in rural areas. Titling your property and keeping your property firmly in your possession are the paramount issues. 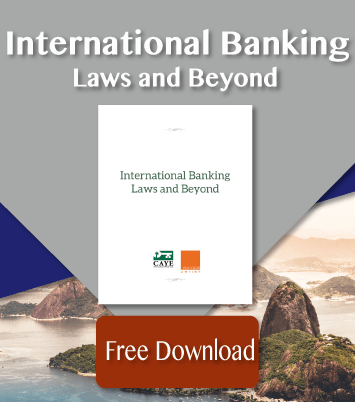 Knowing the law ahead of time and following it closely are critically important factors. There is no margin for error here – so, “Measure twice, cut once,” as the carpenter’s saw says. The bottom line when buying property overseas is to have good information. Take your time and bring in experts for advice. Remember, you get what you pay for. A great place to start when you look for property overseas is your local realtor in the U.S. or Canada. They have networks and referral partners around the globe who can become trusted sources for information and contacts globally. To know you are in the best hands, specifically, locate a Certified International Property Specialist. This means they have gone beyond the basic license and earned an advanced CIPS designation in a week-long course that’s serious business. The realtor network is a strong one and it costs you nothing to use it. This is a case where free is a wonderful thing. EscapeArtist international real estate also has a network of international real estate buyer’s agents. And speaking of free, for a limited time, The Consumer Resource Guide will be offered at no charge. In the near future, this handy document will be offered for sale, so if you haven’t downloaded your copy, do so now. The “15 Due Diligence Questions” you should ask when buying property overseas will save time, frustration, and money. Start with the guide then reach out and find a realtor when you are ready to buy. You’ll be glad that you did.